Werlatone introduces a full line of High Power In-Phase Combiners, covering the full 2 to 6 GHz bandwidth! The D10149, a connectorized 2-Way Combiner, is conservatively rated at 200 W CW, offers full port-to-port isolation, and is designed to handle a full input failure, at rated power. Measuring just 2.9 x 2.7 x 1.06”, the D10149 will tolerate MIL-STD-810 environmental conditions. 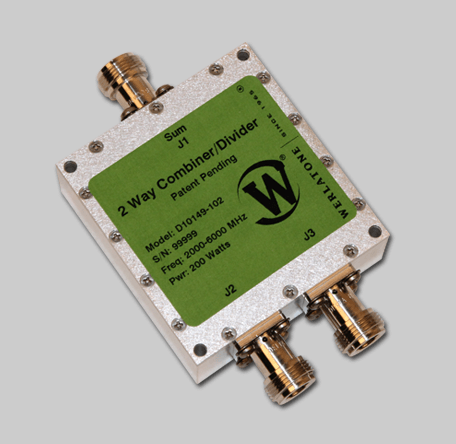 Stay tuned for additional 2 to 6 GHz products coming in 2015.